Conductor Garrick Freeman was riding in the lead locomotive to familiarize himself with the new, faster bypass track that opened Dec. 18, when the Amtrak train derailed and spilled on Interstate 5 in Pierce County. 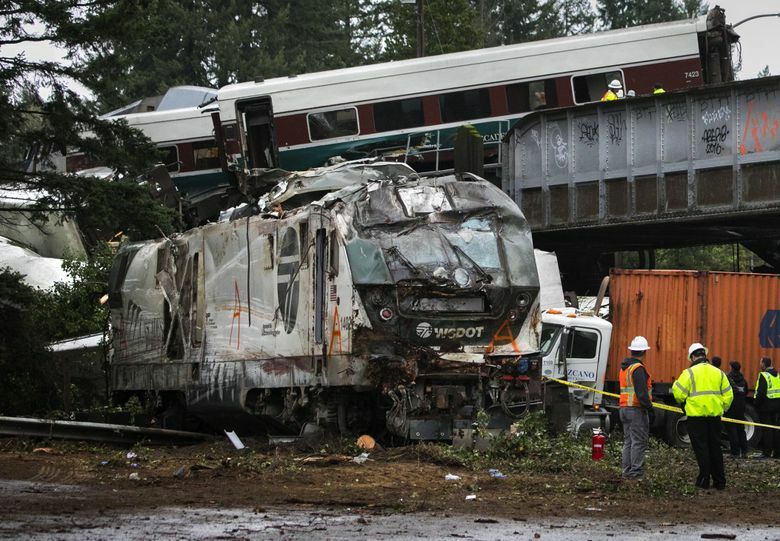 Attorneys for an injured conductor filed suit Wednesday against Amtrak, alleging the railroad failed to provide safe working conditions when a speeding passenger train derailed last month south of Tacoma. 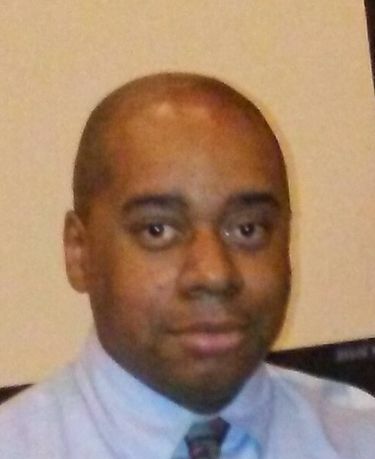 Garrick Freeman suffered rib and hip injuries, severe pain and emotional shock, says the eight-page complaint, filed in Pierce County Superior Court. It’s the first of many upcoming lawsuits and claims — including a second case filed Wednesday, by an injured passenger. Freeman, the conductor, was riding in the lead locomotive to familiarize himself with the new, faster bypass track from Tacoma through Lakewood to DuPont, Pierce County. On Dec. 18, its inaugural run, the state-owned Cascades 501 train flew off a track curve, traveling 78 mph in a 30 mph zone. Three people died and dozens of others were injured. Freeman, 48, has seven years of experience and had requested the daytime trip to learn the route, where he rode in the left front of the southbound locomotive, said his attorney, Anthony Petru, of Oakland, California. “He had zero experience working on this stretch of track. He was there solely to familiarize himself,” Petru said in a phone interview. After the crash, Freeman was treated at Harborview Medical Center, then discharged to a rehabilitation facility Dec. 30, for a likely one- to two-month stay, the attorney said. Petru said he expects to name other defendants including the Washington State Department of Transportation, which owns and funds the Cascades trains; Sound Transit, which owns the 14½-mile bypass tracks; and Talgo, maker of the passenger railcars. It’s unlikely that individuals would be sued, barring some “egregious” findings, he said. The case seeks a yet-undisclosed payment to include lost earnings, medical bills, rehabilitation costs, home care and suffering. By federal law, Amtrak’s liability is capped at a combined $295 million for all cases arising from any single passenger-rail accident. Multiple suits would likely be consolidated under a single judge and court. The other case filed Wednesday is for Pennie Cottrell, who suffered broken ribs, a fractured clavicle and internal injuries, said her attorney, Michael Krzak, of Clifford Law Offices in Chicago. Lawyers filed documents in King County Superior Court, because of Amtrak’s regional base in Seattle. “Pennie was in railcar #7 — the one that was dangling off the rail” on a bridge over I-5, said Krzak. Krzak said his firm is working with nine other clients, including people on the train and people who were injured on the freeway. The Minnesota-based Bremseth Law Firm is representing or talking with several people, including train employees, said John Hiatt, the firm’s longtime investigator. Seattle attorney James S. Rogers says he’s in talks with a prospective client. Amtrak “failed to design, build, inspect, approve, maintain, repair and operate the tracks safely, including failing to activate positive train control technology on the track,” the Freeman case asserts. For example, Petru said in the interview that railroad workers told him some training of engineers occurred in groups rather than one-on-one, and conductors made their familiarization trips at night in a rear locomotive. Those remarks echo previous comments by Hiatt, and a Seattle Times report Dec. 23 that some workers were concerned about group trainings. An engineer is responsible for operating the locomotive, including making needed speed changes and stops. A conductor is responsible for the whole train, including the safety of passengers. The conductor also advises or reminds the engineer about track restrictions or speed changes, and therefore must become familiar with new territory. Conductors are authorized to apply an emergency brake. 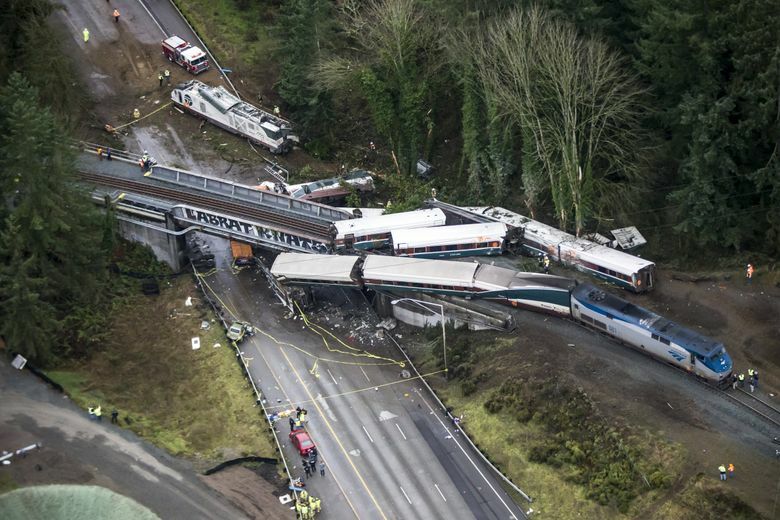 Speculation abounds as to what happened within the Cascades 501 locomotive, and the National Transportation Safety Board (NTSB) initially said it always looks at potential distraction of crew members. Since then, NTSB stated the engineer made a remark about the train being over speed six seconds before the derailment. Freeman, the conductor learning the route, “was not a distraction,” Petru said. NTSB investigators have not yet interviewed Freeman, the attorney said. NTSB representatives have declined to answer reporters’ questions the past several days and couldn’t be reached late Wednesday. Crashes sometimes can be blamed on operator error, said Petru. But in most cases including this one, he believes “a number of systems failed” to prevent a crash. Amtrak’s new CEO, Richard Anderson, said in Tacoma the day after the crash that the company is “profoundly sorry,” and that he will strive to improve the safety culture. Passenger trains have reverted to a slower waterfront route through the Tacoma Narrows, until positive train control, which could automatically slow or stop a speeding train, is tested and ready later in 2018. The lawsuit compares the Cascades derailment to a Philadelphia crash that killed eight people in May 2015. In that tragedy, an experienced engineer was distracted by an emergency on a nearby train, lost awareness, and continued at 106 mph into a 50 mph curve, the NTSB determined. U.S. Transportation Secretary Elaine Chao last week sent letters to railroad executives, but didn’t mention the Cascades crash. “It is expected that your organization is taking all possible measures” to install positive train control by a congressional deadline of Dec. 31, 2018, she wrote.